May 1939. 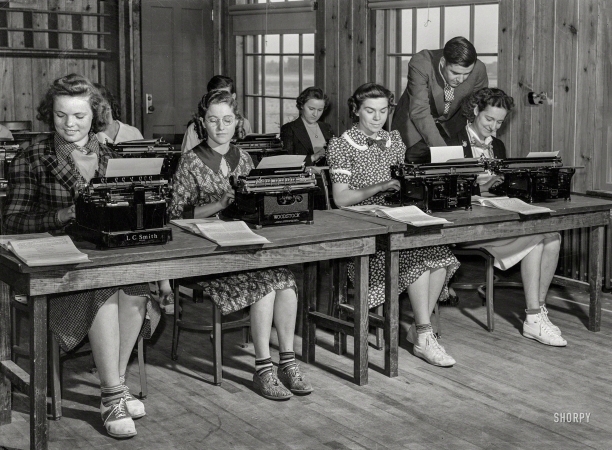 "School students in typing class. Ashwood Plantations, South Carolina."